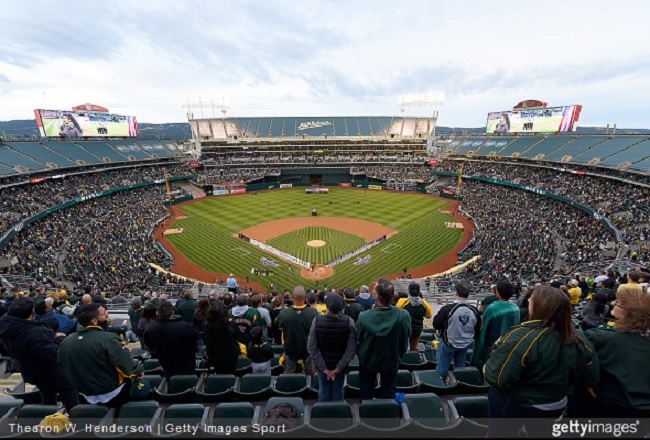 Home / Athletics / Just How Good Are The Oakland A’s? How weird does it feel to be reading a headline that implies the Oakland A’s are good on August 21st? Some of you may think “weird” is a little extreme, but it’s very fitting of how their season has unfolded so far. I’d be lying if I said I expected the A’s to be giving the Astros all they could handle in the chase for AL West crown, and I’m willing to bet most of you all would be lying too. (Exception going to LOD photographer Mathew Carper whose preseason predictions had them in the World Series) Despite how I may have felt during Spring Training, the fact of that the matter is that the A’s are in the playoff hunt, and I’m going to do my best to find out what has gotten them there. While the contributions have been coming from the entire roster, it would be absurd to start anywhere other than Matt Chapman. When the A’s superstar third baseman was coming up as a prospect, he was more highly touted for his defense than anything else. Nothing has changed there, he may be the best defensive third baseman in the American League. The real surprise is how effective he has been at the plate. We all knew he had the raw power, but he has exceeded all expectations with his sheer bat to ball ability. After striking out at a 28.2% clip in his 326 2017 plate appearances, the former first round pick is stiking out just 22.5% of the time in 444 plate apperances this year while raising his walk rate at the same time. The plate discipline is superb, but as we stated earlier, what he does when he makes contact is the true show of skill. Chapman is a pull hitter, and probably always will be, but balls that come off of his bat are classified as “hard hit” at an obnoxious rate of 44% of the time. In fact, he only makes soft contact on 18% of his batted balls. In other words, he knows how to hit. The California native ranks fifth in fWAR this season at 5.4 and trails only a few of the biggest names in the game. His defense has a tiny bit to do with it, but you can’t ignore the stats at the plate. His .970 OPS ranks fifth in the American League and sixth in all of baseball. (He only trails Nolan Arrenado by .002) When you look at his wRC+, you immediately know that the offensive production is not an anomaly. A 155 wRC+ is pretty impressive, but when you consider that Carpenter has posted that along with a BABIP of just .294, you can pretty much classify him as elite. These highlights are from 2017, but trust me, they still apply. Sure, Chapman has been a pleasant surprise, but have you seen what the A’s starting rotation has done? Wait, maybe what they’ve done isn’t as impressive as who has done it. The baseball world had decent expectations of Sean Manaea coming into this season and the ace of the Athletics has had a solid season, including a no hitter. But we are talking about the likes of Trevor Cahill, Edwin Jackson, and Brett Anderson contributing to the success of a contending team. Cahill leads the staff with a 2.1 WAR in just 15 games, he is striking out nearly nine per nine innings, and he has posted a career low BB/9 of 2.60. In other words, Cahill has been good. But what about the other veterans? I think when you see the name Edwin Jackson, you don’t expect much in 2018 and to be honest, he hasn’t given them much. But, the 34 year old right hander has given the A’s five straight solid outings. The numbers and peripherals don’t look good, but he is contributing down the stretch when it counts. Brett Anderson has been much of the same, not very good, but effective as of late. The addition of Mike Fiers was essential, I just couldn’t see this rotation holding it together down the homestretch and definitely not into October. In conclusion, an over performing starting rotation has contributed a lot to the A’s run at first place. The bullpen has been a bright spot with Blake Treinen, offseason addition Yusmeiro Petit, rookie Lou Trivino, and the trades for Jeurys Familia, and Fernando Rodney. Treinen leads the way with 3.2 fWAR and an ERA in the basement at 0.87. He is striking out opponents at a rate of 12.48 per nine innings and has a FIP of 1.57, so yeah. he’s pretty good. The other guys… have had a little more luck. Trivino has impressed in his first 60 innings with a 1.65 ERA, but his 3.16 FIP, still not bad, and his walk rate of nearly four per nine say that he has been getting some help from the baseball gods. Petit also sports a FIP .70 higher than his ERA. The additions of Rodney and Familia may prove pivotal down the stretch and in October should the A’s find themselves there. Those two plus Treinen make for a nice trio at the tail end of the pen. As for the rest of the lineup? Their designated hitter, Khris Davis, has the third most homers in baseball. Second baseman Jed Lowrie is having another sneaky good season with a career high 3.8 fWAR and an .813 OPS. They have slick fielding Marcus Semien at short. First baseman Matt Olson has been one of the more underrated hitters in the league while being above average defensively in the field. Khris Davis does it again. So, just how good are the A’s? The lineup has the legs to produce the amount of offense the club will need to win games. The question mark is of course, the rotation. The production the club is getting from some of the veterans doesn’t seem like it will be sustainable. The three headed monster at the back end of the bullpen can only be productive if there are starters that can get them there, the pen isn’t deep enough for a bullpen game. This is where the addition of Fiers is key, even if he is nothing more than an innings eater. There is no doubt the A’s have been a great story and I really believe they have a shot at the second wild card spot, but the division title may be a pipe dream. Honestly, a lot of it has to do with the fact that they are chasing down the Astros of all teams, who by the way have played much of the season without some of their superstars. Yes, the A’s are good, but a deep October run doesn’t seem likely.